PTWP SA Group, the publisher of the Propertynews.pl and Propertydesign.pl portals and the organiser of the 5th edition of the conference styled Property Forum 2015, in cooperation with the editorial offices of the portals, are organising the fourth edition of the competition styled Prime Property Prize 2015. 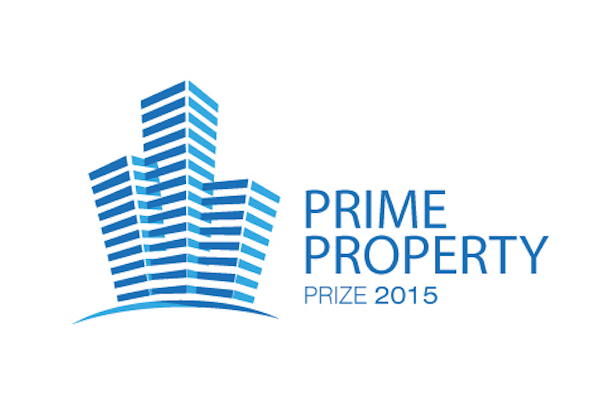 The task of the Prime Property Prize 2015 competition is to select enterprises and projects that have had the greatest influence on the events taking place in the commercial property market last year, as well as to select the personages whose spectacular actions have played a crucial role in the development of the entire industry. The ceremonial Gala of presenting the Prime Property Prize 2015 awards, which is to take place at the VITKAC Department Store, will summarise the first day of the Property Forum 2015 that has been planned to take place on 28–29 September 2015 in Warsaw (Sheraton Warsaw Hotel). Propertynews.pl Person of the Year – this award is granted to a personage from the commercial property industry, who has had the greatest influence on the events taking place in that sector or who had made spectacular changes in his or her own enterprise, which have then influenced the development of the entire market. Property Developer of the Year – this award is granted for the achievements and activities of an enterprise in the commercial property market to date, as well as for its contribution to the development of that sector in Poland, high quality of the projects implemented and the goodwill of the enterprise in the industry. Lessee of the Year – this award is granted for setting new trends in the shopping centre lessees’ market, being active in the form of developing a chain of shops and making changes in it, as well as for marketing activities and one’s image in the industry. Investor-Friendly City – this award is granted for activities for the improvement of the investment climate, as well as for the creation of conditions for increasing the activity of investors. The quality of services offered to entrepreneurs as well as efficient implementation of administrative procedures are also taken into account. Investment of the Year: Commercial Space Market – this award is granted to new or redeveloped shopping centres, in the case of which the investment process has ended between September 2014 and September 2015. The following aspects are evaluated: the quality of the project, investment completion time, the commercialisation process, cutting-edge solutions and architecture, as well as the project’s impact on the environment and the economy of the region. Investment of the Year: Office Space Market – this award is granted to new or redeveloped office buildings or office complexes, in the case of which the investment process has ended between September 2014 and September 2015. The following aspects are evaluated: the quality and innovative character of the project, investment completion time, the commercialisation process, cutting-edge solutions and architecture, as well as the project’s impact on the environment and the economy of the region. Investment of the Year: Warehouse and Logistics Space Market – this award is granted to new or redeveloped logistics and warehouse facilities, in the case of which the investment process has ended between September 2014 and September 2015. The following aspects are evaluated: the quality of the project, investment completion time, the commercialisation process, cutting-edge solutions and architecture, as well as the project’s impact on the environment and the economy of the region. Investment of the Year: Hotel Market – this award is granted to new or redeveloped hotel facilities, in the case of which the investment process has ended between September 2014 and September 2015. The following aspects are evaluated: the quality and innovative character of the project, investment completion time and architecture, as well as the project’s impact on the environment and the economy of the region. Green Building – this award is granted to commercial facilities that have been built in accordance with the rules of environmentally-friendly construction and sustainable development, thus introducing cutting-edge solutions to the market in this respect. Architecture (the award granted by the Propertydesign.pl portal) – this award is granted to commercial facilities that introduce cutting-edge solutions to the market within the scope of architecture and design, thus setting new trends in this respect, as well as facilities that have been built with due respect for their surroundings and the urban fabric.